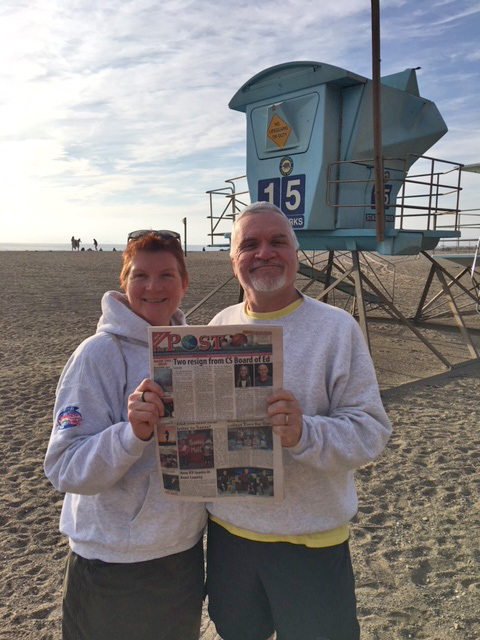 Solon Township residents Ken and TJ Norris got a great gift from friends in Southern California over the Christmas weekend: a visit to warm weather! The daytime temperatures were in the low 70s but it got cold (by Southern California standards) at night—the low 50s. This photo is taken at Point Magu beach, just south of Ventura. Thanks so much to Ken and TJ for taking us with you!